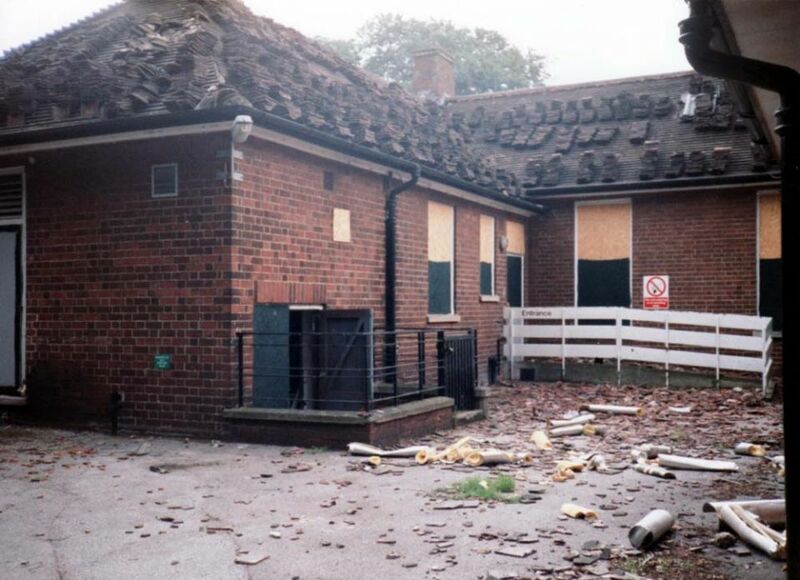 The Old “Rules” Of Meanwood Park Hospital. 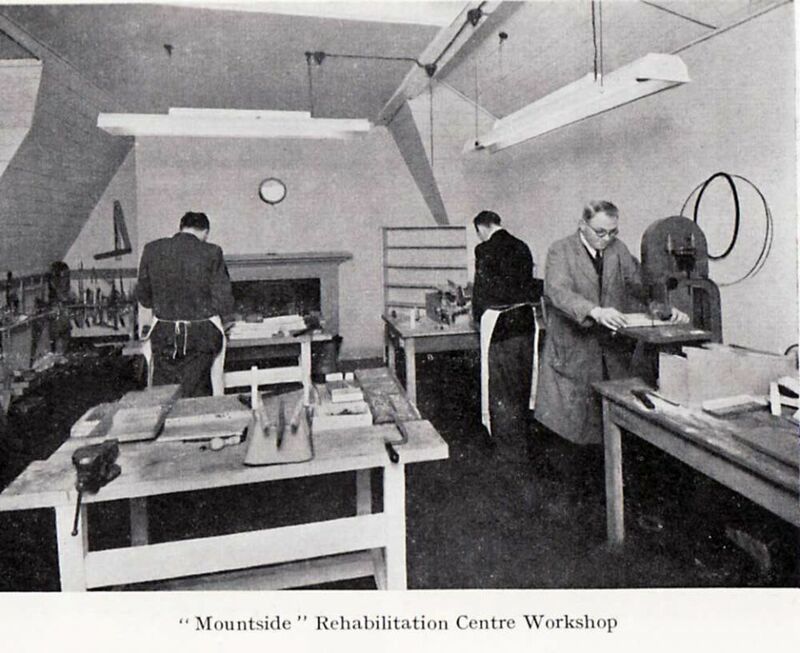 Meanwood Park was rented In 1919 by the Leeds Corporation to provide a ‘mental deficiency colony’ for the mentally handicapped, which was formally opened on 3rd June 1920, although the first patient Mr Frank Tottie was admitted on 25th August 1919. 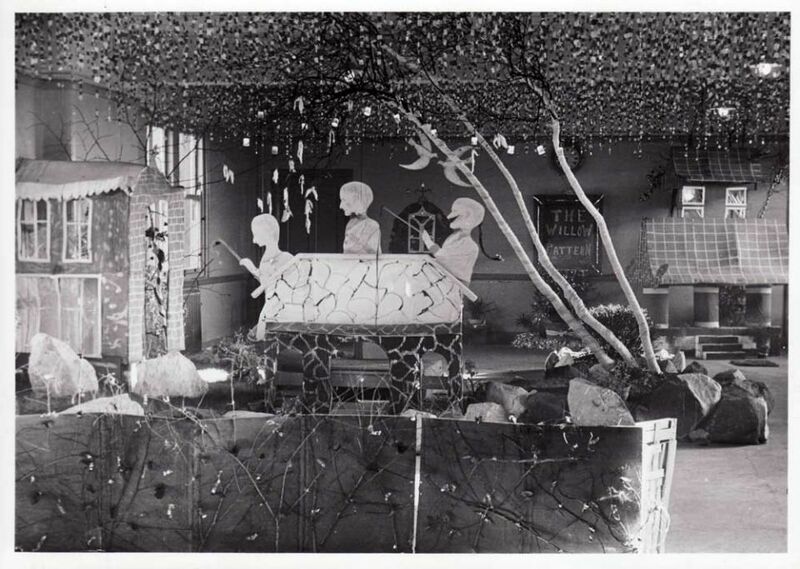 Frank aged just 10 lived in the hospital for over 60 years until his death on 17th November 1979. 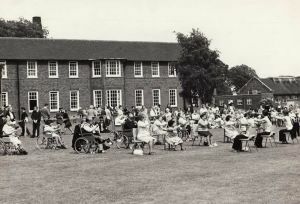 The Mental Deficiency Act of 1913, empowered Leeds City Council to make residential provision for those people today described as having Learning Disabilities, previously known as Mental Deficiency, then Subnormality (1959) and Mental Handicap (1970s). For this purpose the Council acquired/obtained the Meanwood Park Estate. Dr Douglas Anthony Spencer – Consultant Psychiatrist in Meanwood Park Hospital from 1970 until 1996. 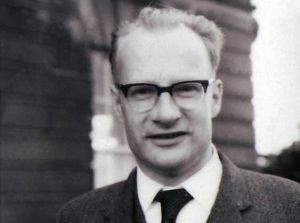 Foundation member of the Royal College of Psychiatrists in 1971 and was elected fellow in 1982. 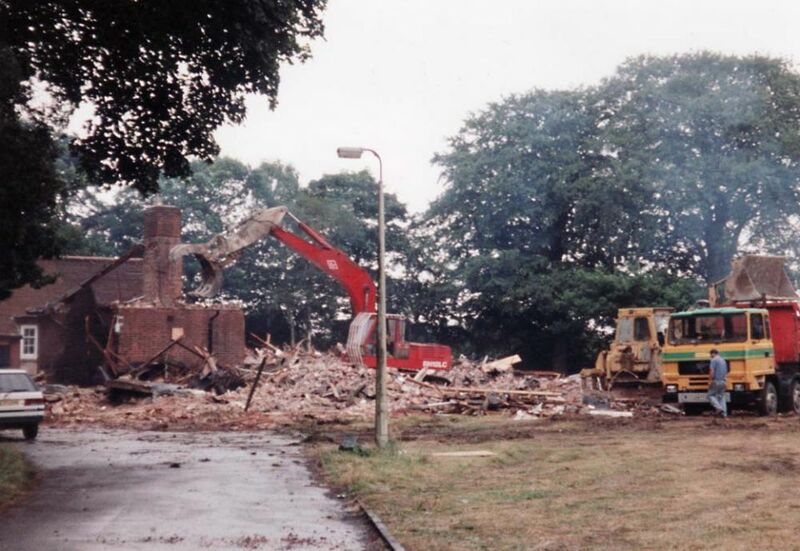 He was appointed senior clinical lecturer at Leeds University in 1984. 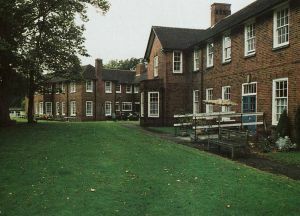 The place Ida Norman and Geoffrey Kay were taken to was Meanwood Park Colony for Mental Defectives which had opened on the outskirts of Leeds in 1920. 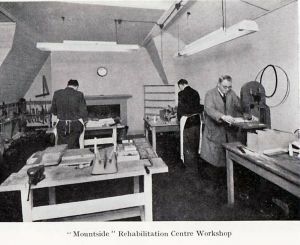 The man who took them there was Samuel Wormald, who saw himself at the vanguard of a movement to remove anyone with a disability from society and wrote at the time: “ By being allowed to repeat their type, the feebleminded are increasing the ranks of the degenerate and wastral classes with disastrous consequences to the entire community. 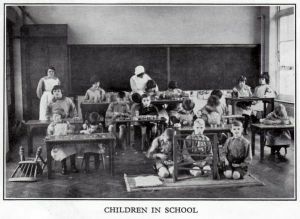 In the 1920s and 30s Samuel Wormald rounded up more than 2,000 people in the Leeds area, school children, factory workers and mill girls found themselves being taken to Meanwood. 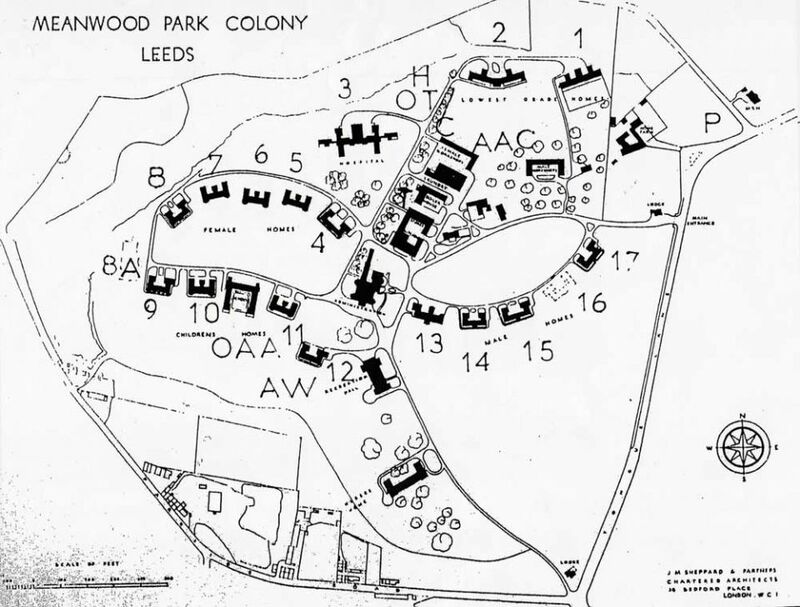 In 1919 Leeds Corporation rented Meanwood Park to provide a ‘colony’ for the mentally handicapped, which was formally opened on 3rd June 1920, although the first patient had been admitted in the previous year. 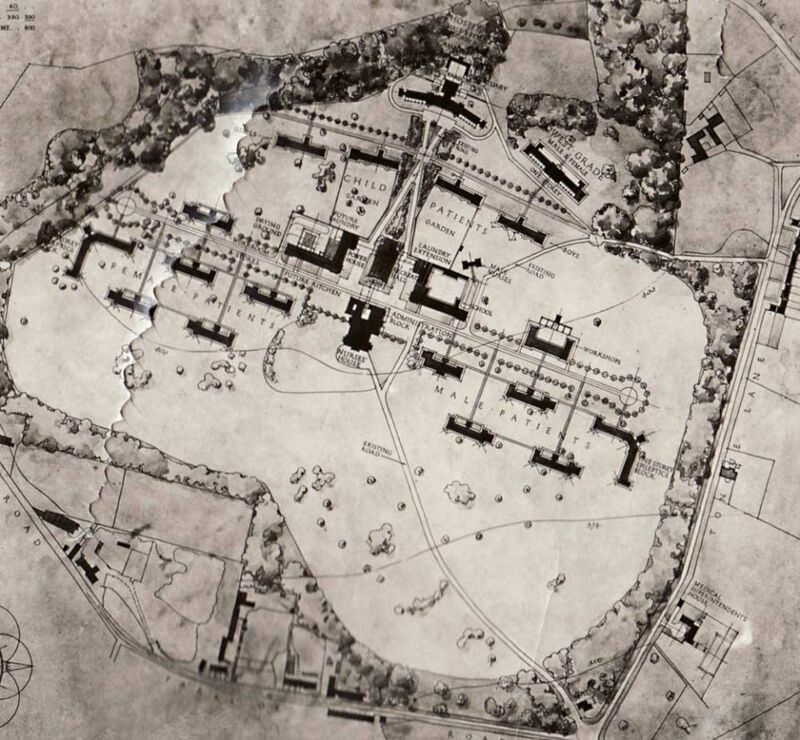 In 1921 the Corporation bought Meanwood Park estate and surrounding land totalling in all one hundred and seventy eight acres, from Sir Hickman Beckett Bacon of Thonock, Gainsborough, grandson of Sir Thomas Beckett. 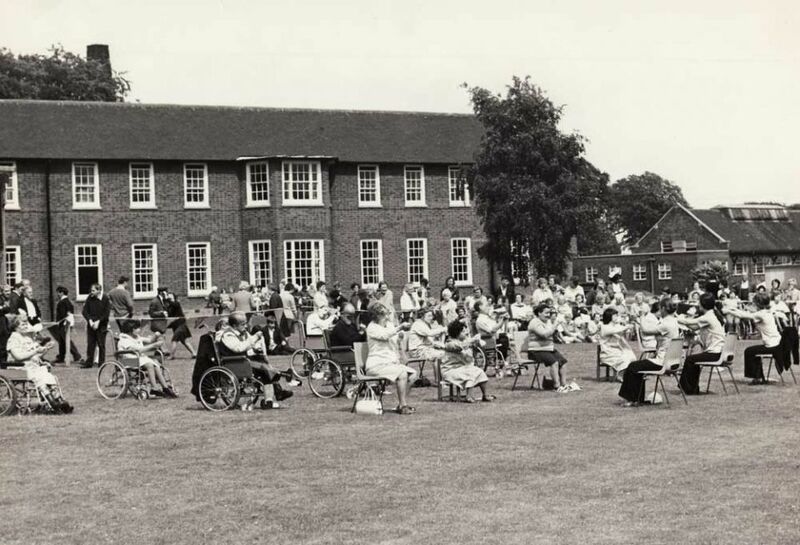 Originally 87 patients were accommodated in the Hall, but during the following twenty years villas were built in the grounds and by 1941, beds were provided for 841 patients. 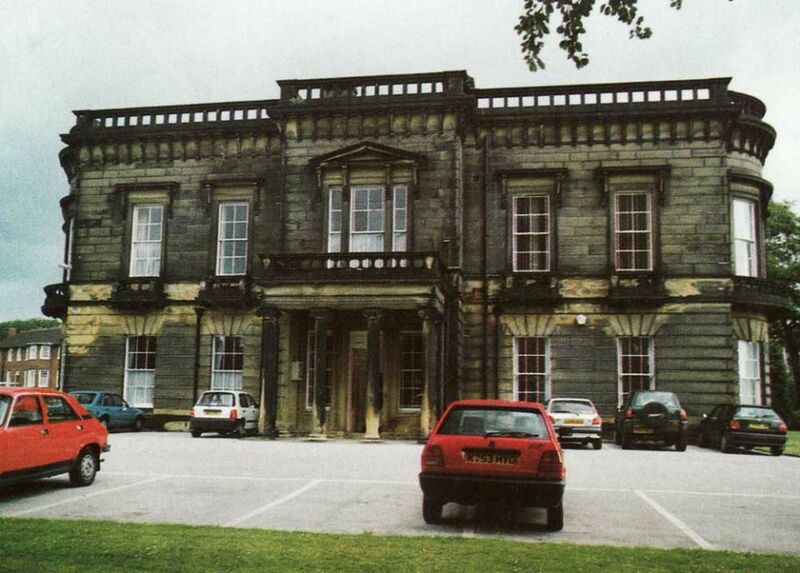 The Hall by then referred to as ‘The Mansion’ was used for other hospital purposes. 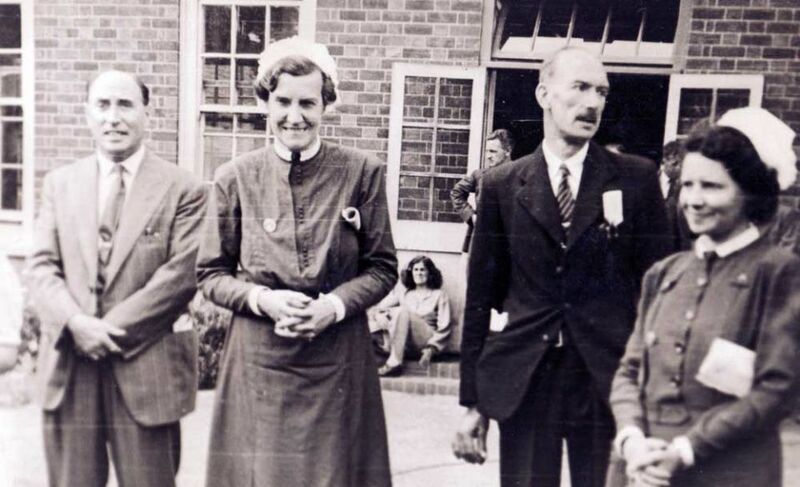 MPH was taken over by the NHS in 1948 and administered by Leeds (group B) Hospital Management Committee. It is now the responsibility of the Leeds Eastern Health Authority and accommodates about 460 residents. 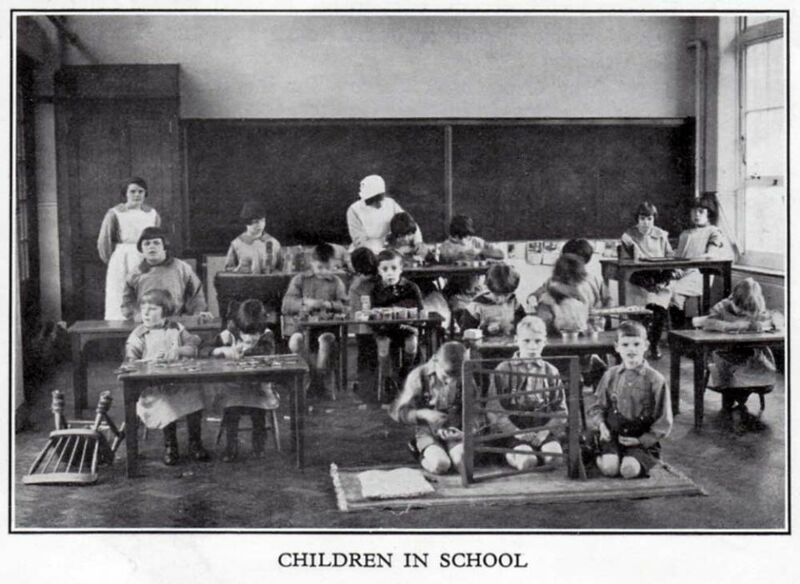 The Mental Deficiency Act of 1913 placed on town councils a duty to care for the ‘mentally defective’. 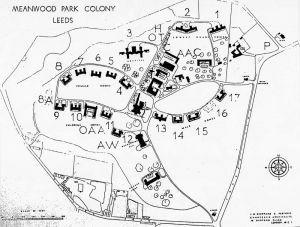 In 1919 the Leeds City Council decided to found a ‘colony’ for the mentally defective. 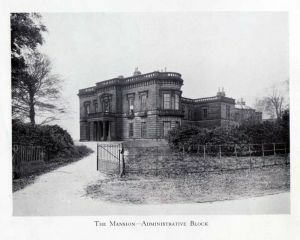 With this object in view the City Council rented Meanwood Park which comprised 74 acres of land on a short lease from the owner, Sir Hickman Beckett Bacon, Bart. 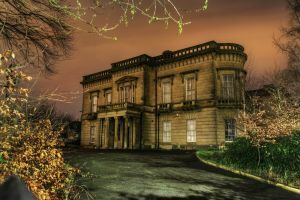 After the lease was entered into the City Council was able to purchase not only Meanwood Park but also additional land and adjacent buildings, the whole comprising an area of 175 acres. The purchase price was £14,000. The Hall accommodated 35 male and 52 female cases. 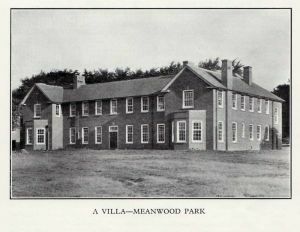 Meanwood Park Colony was opened on 3rd June 1920 by Sir William Byrne, K.C.V.O., C.B., and Chairman of the Board of Control. 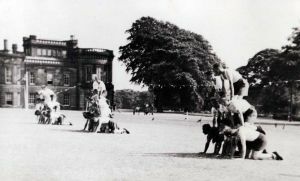 The ceremony was reported in the Yorkshire Post 4th June 1920. The number of patients accommodated was later increased to 103. 87 patients resided in the Hall and 16 in a nearby block. Patient number 1 was Mr Frank Tottie, admitted on 25th August 1919. He lived in the hospital for over 60 years to his death on 17th November 1979. In October 1921 Sir Hickman Beckett Bacon, then 66, the 11th Baron of Redgrave and the 12th Baronet of Millenhall and Thonock, Gainsborough, sold 658 acres of Moortown and Meanwood to the City of Leeds for £37,000. 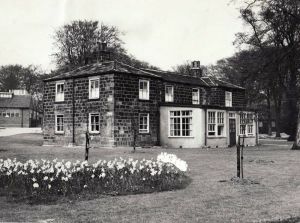 Included were six 18th century cottages in Parkside Road, Leeds. 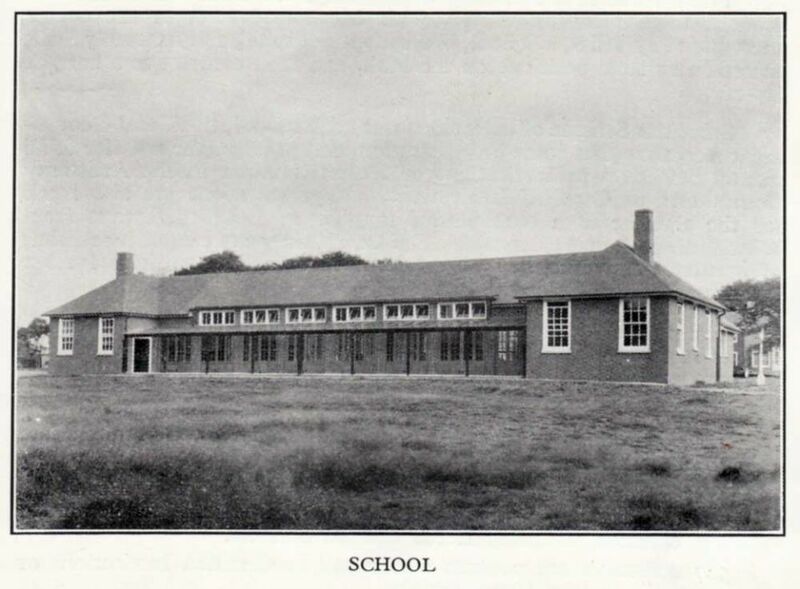 On 20th November 1934 during the Chairmanship of Councillor Z P Fernandez the city Council approved the second part of the sachem which was later completed during the Chairmanship of Councillor John R Chappell. It was comprised of seven additional villas, a hospital villa, a villa for the most severely handicapped cases, a recreation hall for 600, the nurses’ home, a three storey structure with 70 separate bedrooms, six staff houses, the kitchen, stores, workshops and house for the medical officer. These extensions provided for an additional 410 patients and the total was brought up to 841 beds. 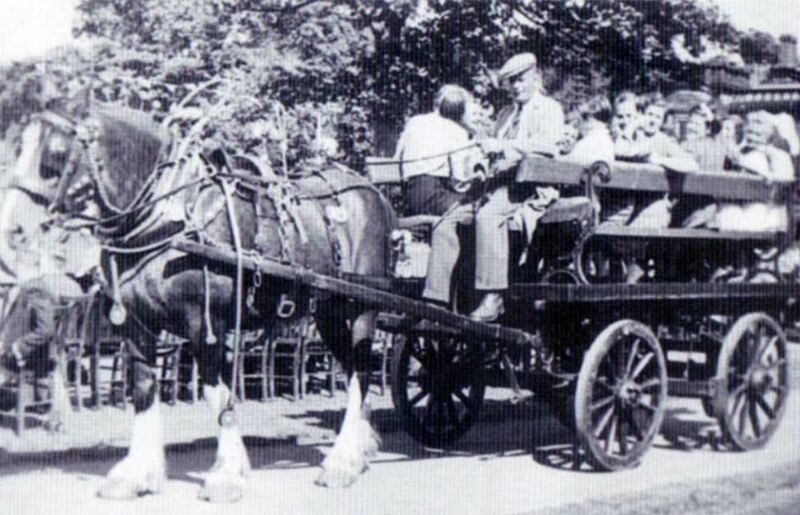 The water supply allowed 40 gallons per head per day. The contractor was Messrs J Ledgard and the cost was £206.650.00. 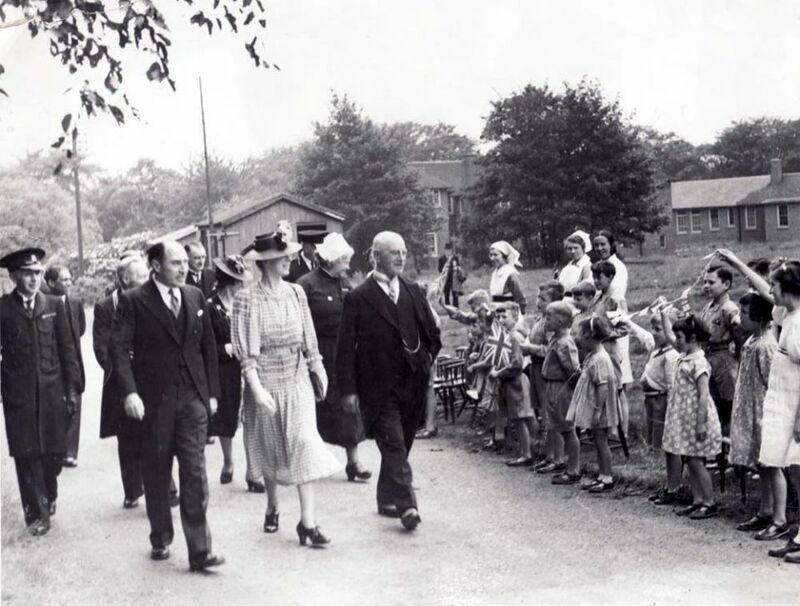 Her Royal Highness, The Princess royal opened the new extensions at a ceremony held on Monday 23rd June 1941. A commemorative plaque in the entrance lobby of the recreation hall recorded the opening ceremony. The Lord Mayor of Leeds was Alderman Willie Withey, J.P. The Chairman of the Mental Health Service Committee was Councillor John Richard Chappell, the Deputy Chairman Councillor Zacharias Peter Fernandez, B.A., M.D., D.P.H. 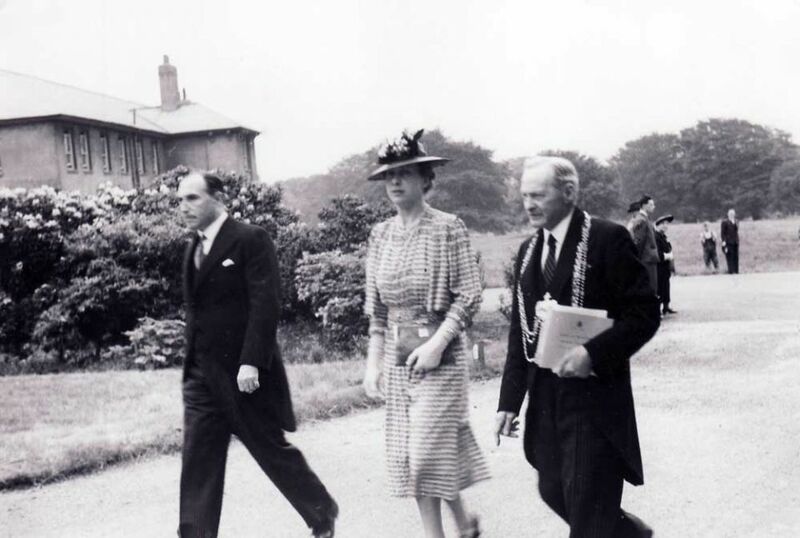 Members of the Committee were Alderman Ernest Vincent Steel and Councillors Elizabeth Mary Lister, Harry Spink and Gertrude Wardle. The co-opted members of the Committee were Emily Bonell, Hilda Nicholson and William Beardshaw Booth. The Town Clerk was O.A Radley, M.C., LL.B., and the medical officer Dr Alexander Hogarth Wilson, M.B., Ch.B. 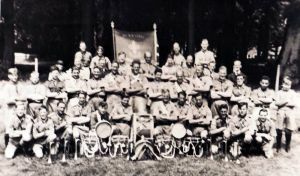 D.P.M. The executive officer of the Committee was Mr J Squire Hoyle. 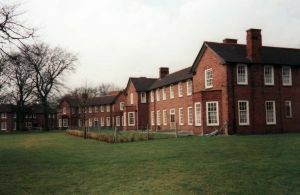 The Hall often called ‘the Mansion’ ceased to be used for the accommodation of patients and was adapted for administration and staff residential purposes. The other original block which had housed 10 or more patients was no longer used for patients. 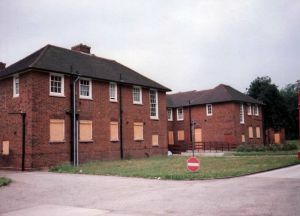 The Villas were numbered 1 to 17 but no villa 16 was built in the original scheme because of the war and a gap remained between villa 15 and 17 until 1971. 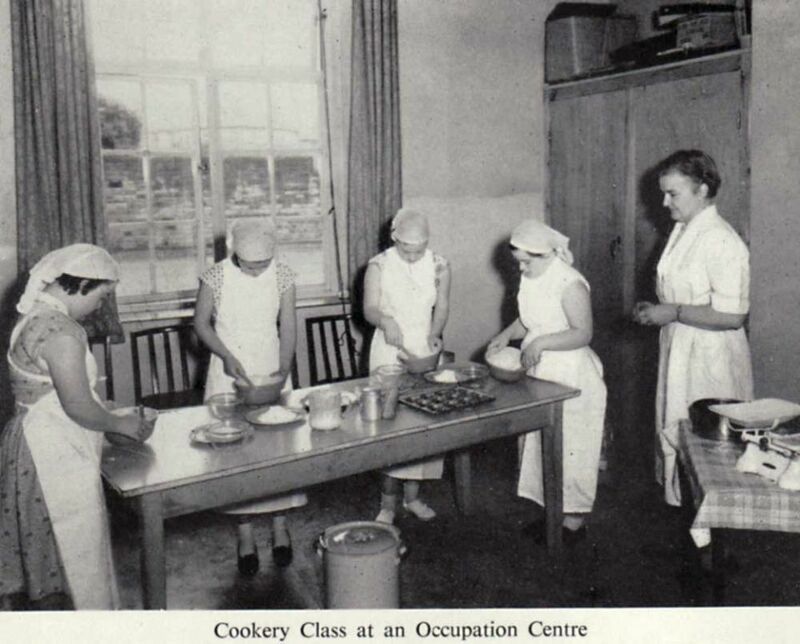 Pictured above is a war time scene from June 1944 and shows Sister Cook and colleagues. 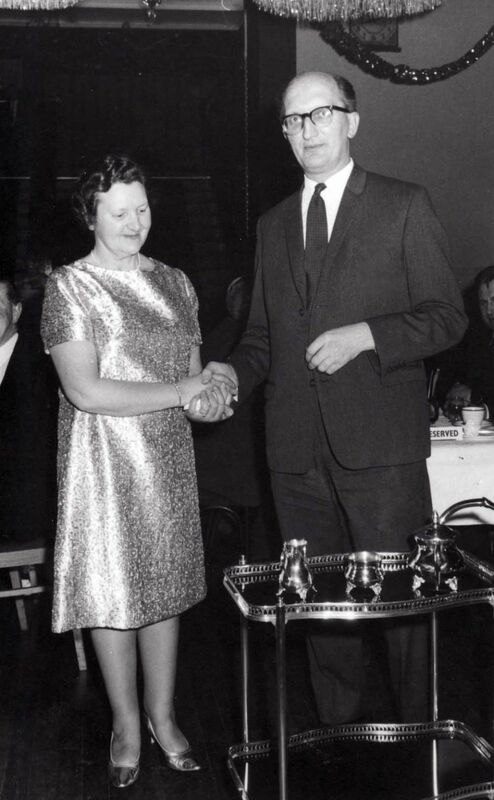 Also pictured is Joyce Williams, the image was sent to me by her son Philip Gregson. During the war Meanwood Park was part of the emergency medical service and many war casualties remembered with gratitude the treatment they received there. The mentally handicapped residents were crowded into certain villas, some were moved elsewhere. Trains brought wounded soldiers to Leeds and Bradford, at first English, later German. 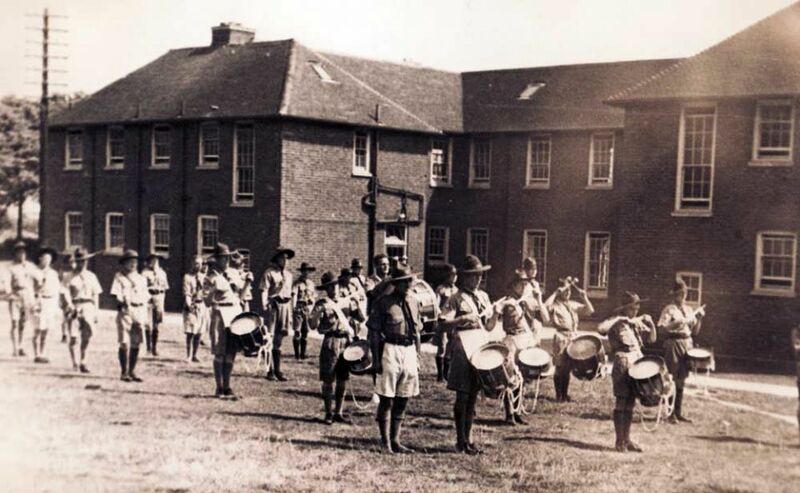 After treatment the Germans passed to prisoner of war camps. 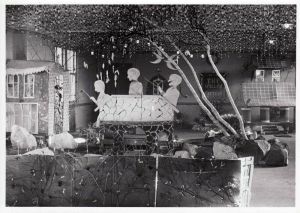 An ambulance was used to convey soldiers form the villas to the operating theatre in villa 3. Miss Wilson was Matron, Miss Smyth was Assistant Matron, and kept a small white Sealyham called Buzzy and had fantail pigeons on the lawns. 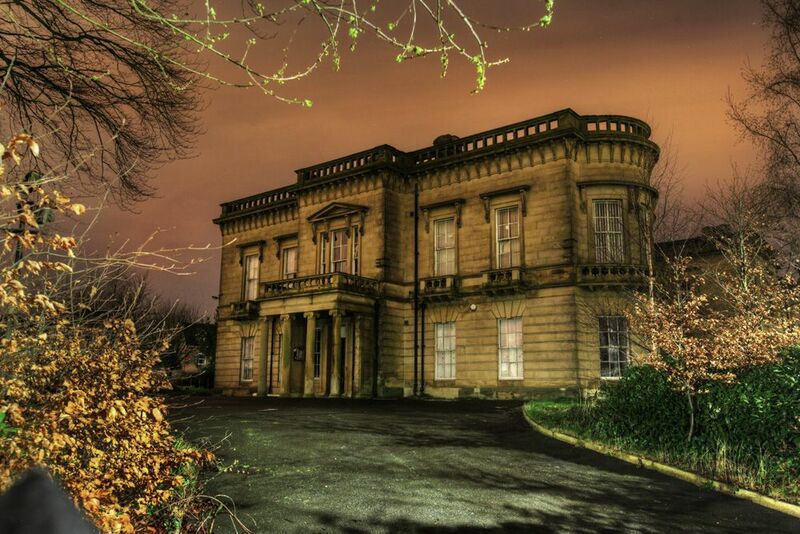 The mansion was reported to be haunted by a ‘grey lady’. The recreation hall was used for concerts and shows. A popular comic trio of those days ‘Mr Lovejoy, Ramsbottom and Enoch’ appeared there with their catchphrases ‘ let me tell you’ from Enoch and ‘take it away Ramsbottom’ from Mr Lovejoy. Memories of those who were associated with the hospital in wartime conveyed the impression of a busy place were morale was high. 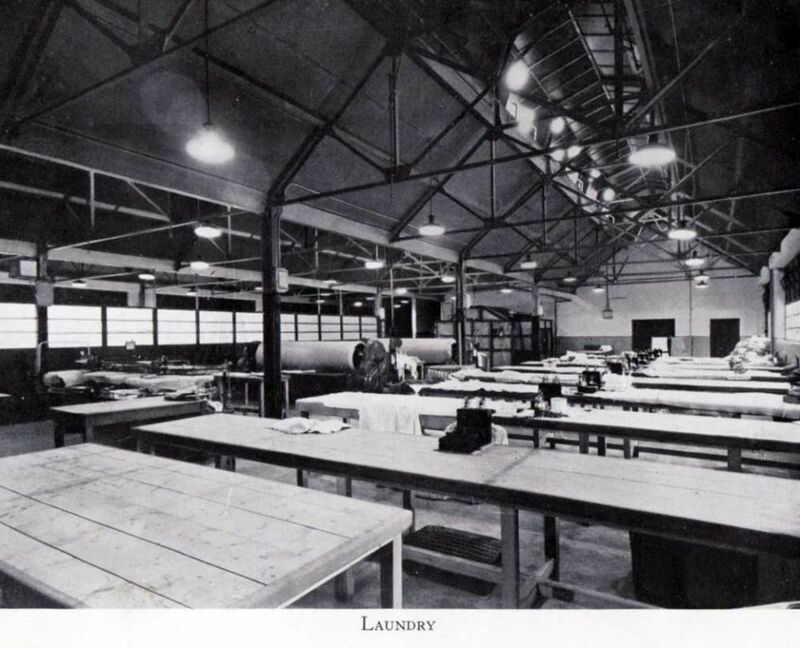 Staff enjoyed life and made the best of things under the wartime conditions. 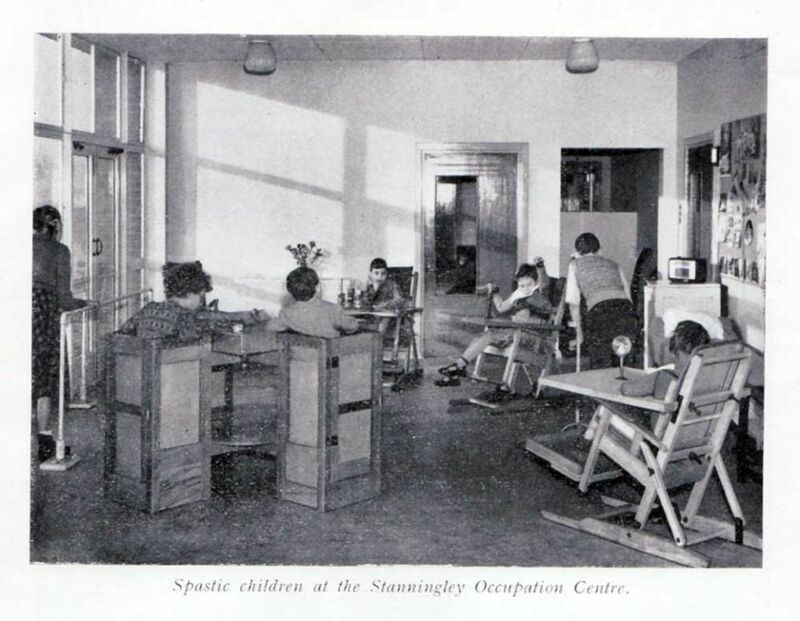 Each mentally handicapped patient had a respirator or ‘gaspirator’ as one remember it, and trenches were dug for use in air raids. 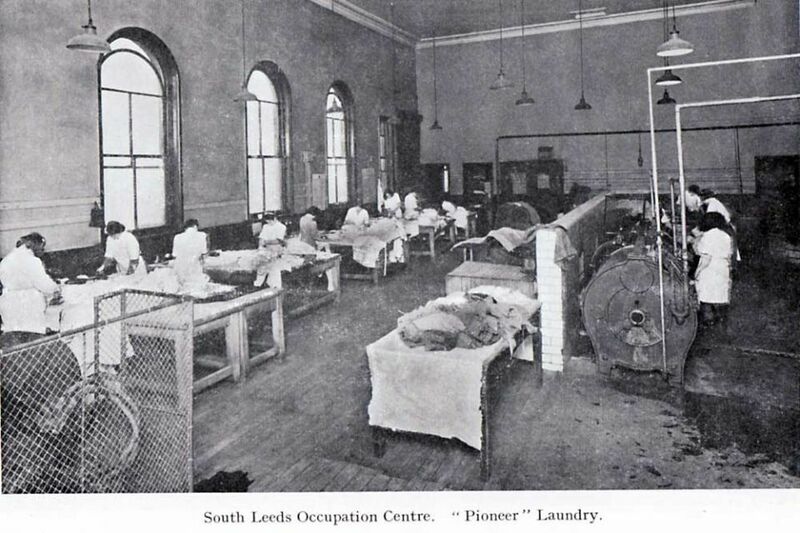 The hospital was controlled by Leeds Corporation. 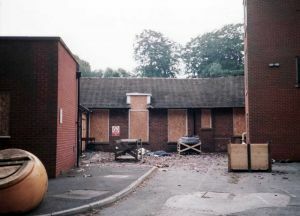 Documentation was dealt with at Swinegate in Leeds. 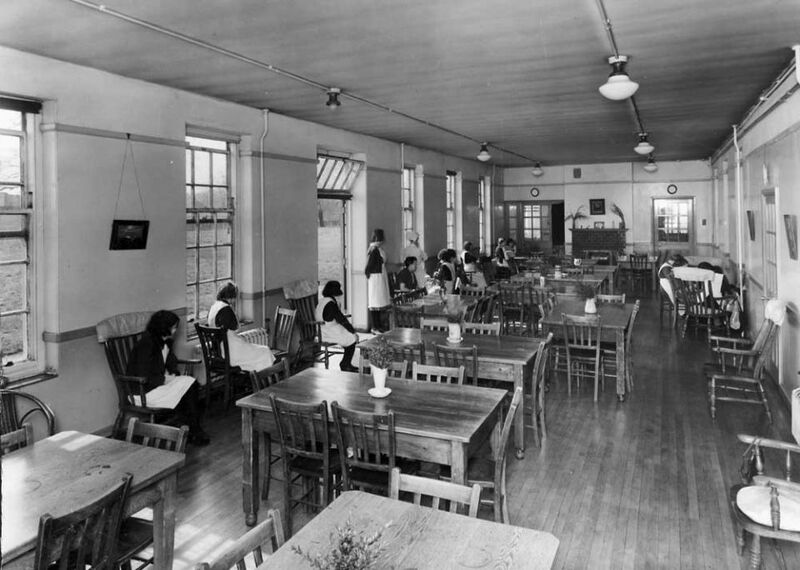 The Hospital trained nurses in a room in the children’s school. The course was 3 years for the RMPA, Royal Medico Psychological Association, and M.D. Certified Nurse. 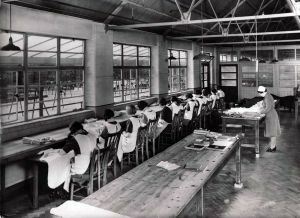 The tutors were Miss Cummings and later Mrs Munnoch. 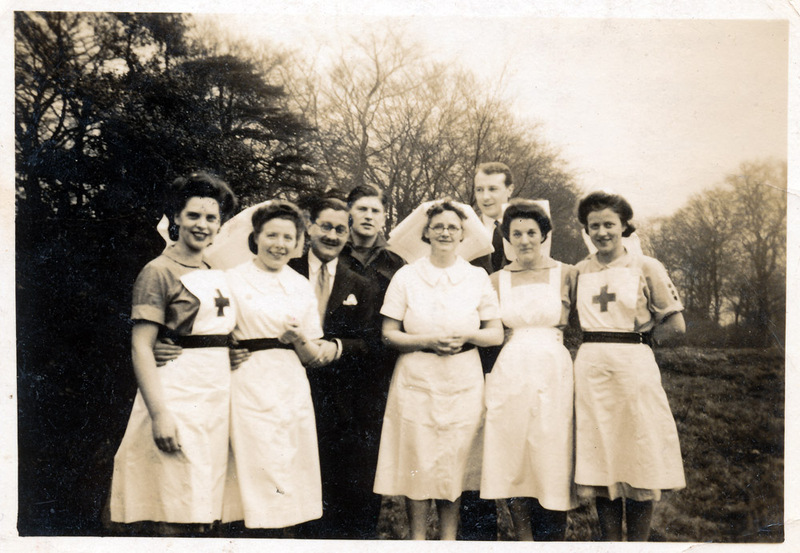 Pay for a Student Nurse was approximately £3.10s .0d gross for 60 hours. Nurses had to attend lectures whether they were on or off duty and on days or nights. 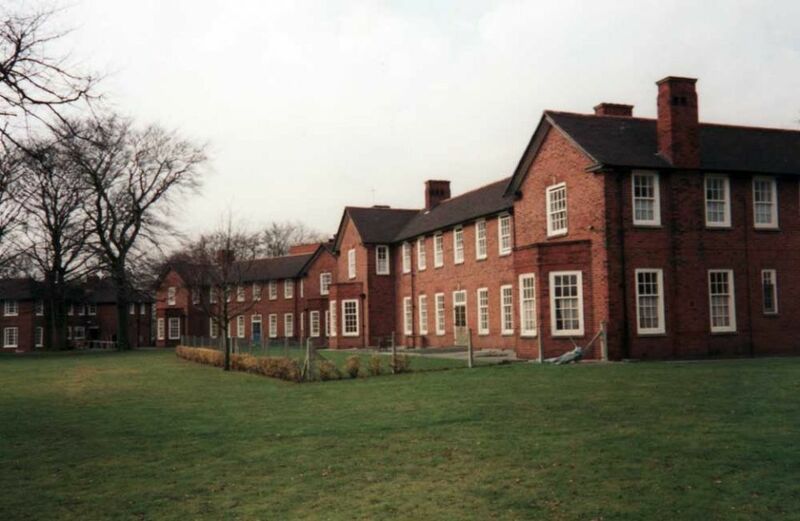 Male nurses lived on the wards, on the farm or male hostel. 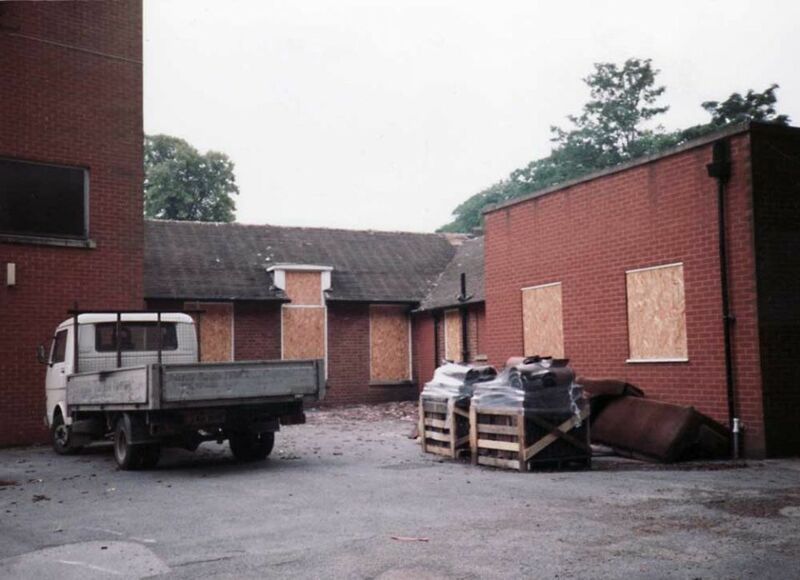 No meals or catering facilities were provided for non resident staff. 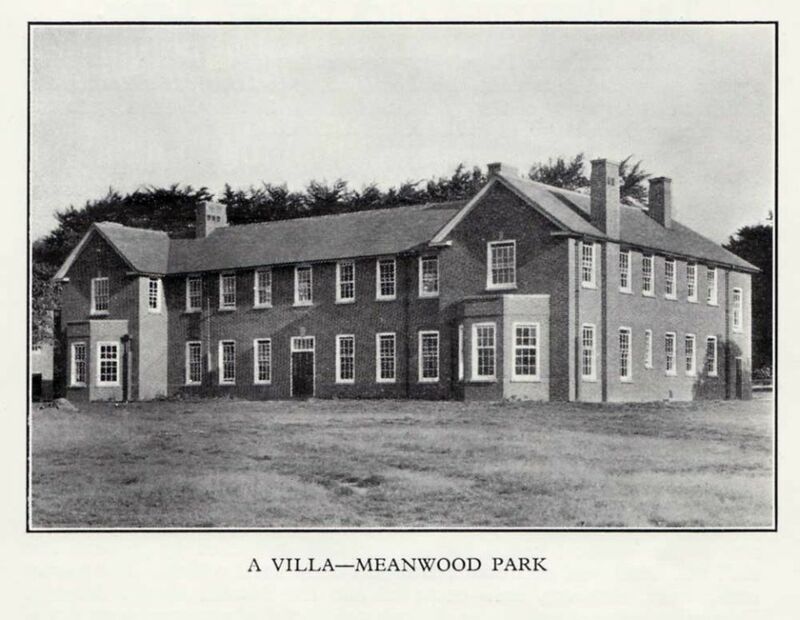 In 1946 some villas were used by the military for convalescent cases. 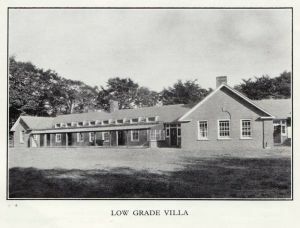 Most of the Villas were locked. No child under 14 was allowed to visit. Relatives and friends were allowed to visit once a month. Patient’s mail was censored in the Chief Male Nurses office. 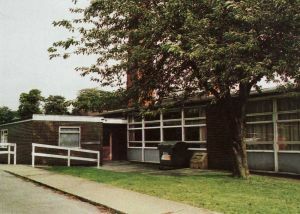 The CMN was Mr Parson’s. One free stamp a month was issued to patients. 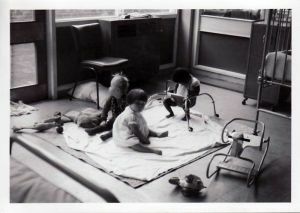 Many of the patients at that time were literate. 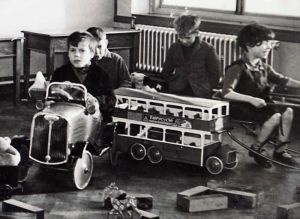 If they behaved they were given a pass which allowed them a few hours weekend parole. Passes were signed by the Medical Superintendent. Patients were awarded 6d per week or a bar of chocolate. 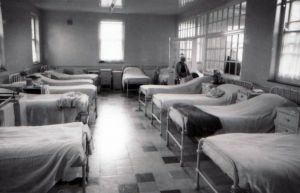 The Chief Male Nurse and the Matron were paid on the number of beds. 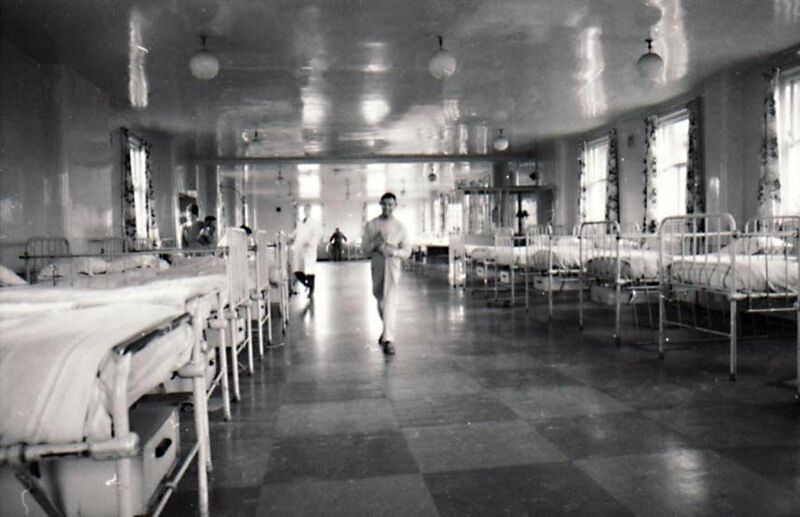 They had their own sides of the hospital, male and female patients mixed only at dances and church services. Dr. Alexander. 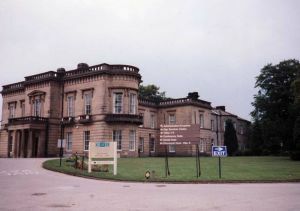 Wilson was the first Medical Superintendent at Meanwood Park Hospital from 1939 to 1962. 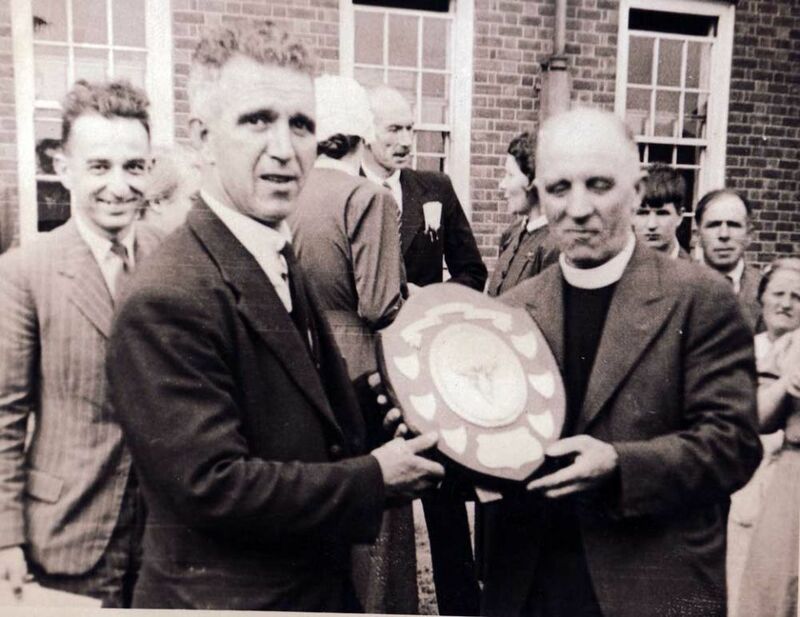 In 1962 Dr. A.H. Wilson retired after 23 years of Medical Superintendent. 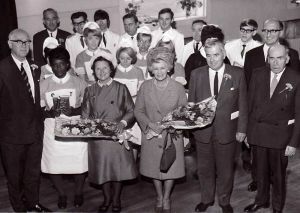 To mark this occasion a dinner was held at the hospital where he was presented with a transistor radio by the Management Committee and a gold wristlet watch from the hospital staff. A special cake was baked and decorated with icing in the form of the coat of arms of Dr. Wilson’s alma mater, Aberdeen University. 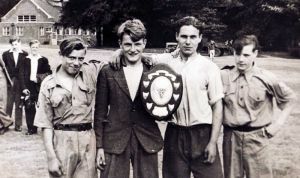 Alex (as he was invariably called by his intimates) was obviously deeply moved by the affection which radiated from a hall of colleagues who attended to do him honour. All domestic work was done by patients. 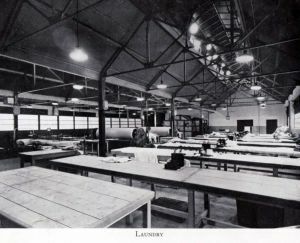 In the men's workshops furniture was repaired. Basket and leather work were done. 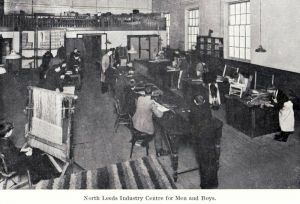 Male patients cultivated the land. Acres of potatoes, oats and vegetables were planted. 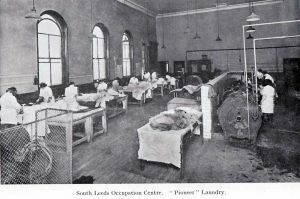 Female patients performed domestic duties or worked in the laundry, nurses' home or kitchen. 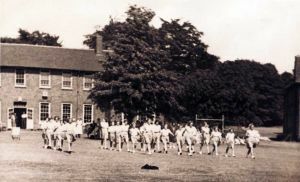 Parties of patients, escorted by nurses, helped to lay out the grounds,making a concrete car park and building a two arched 'folly' recording 'Victory 1945'. 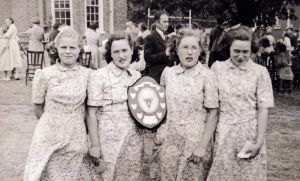 The women patients who carried out the domestic work in the institution were known as "working girls" and they wore "uniform" like clothing. I got my bad leg from, when I used to do a lot of scrubbing every morning and every night. 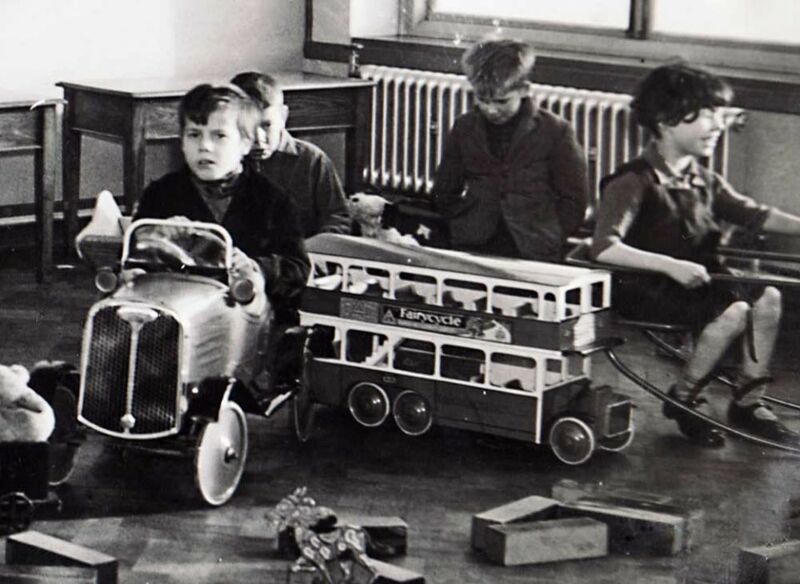 They didn't have vacuums or things like that, like they have now. 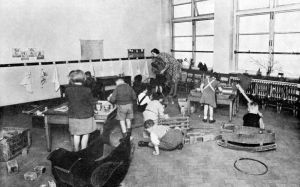 It were all kneeling, mucky, dirty side rooms to do." 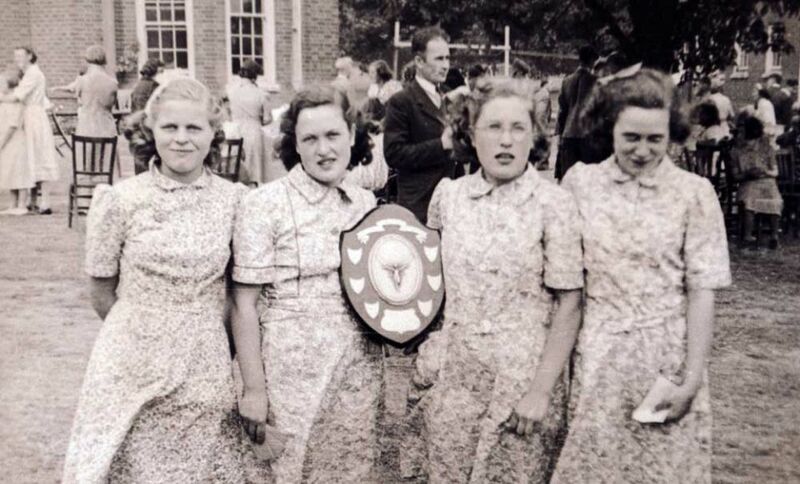 Unlike the men, none of the ex working girls remembered getting paid for the work they did. "We didn't get any money then. We'd not any money, we had to work for nothing. Work for nothing in them days. Then when it changed, you know the changeover, they started giving them money and he said " you can buy some clothes now of your own." 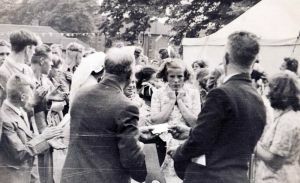 Male and female patients mixed only at dances and church services. A man was not allowed to dance more than twice with the same woman. A weekly cinema show was held. "Patients were lined up outside their villas. Those that wanted to go were checked in number so that they knew when it was time for them to come back after the show, that the same number that went down were returned. 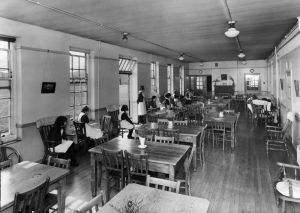 ALL the male patients used to sit on one side of the hall and the female patients on the other side." 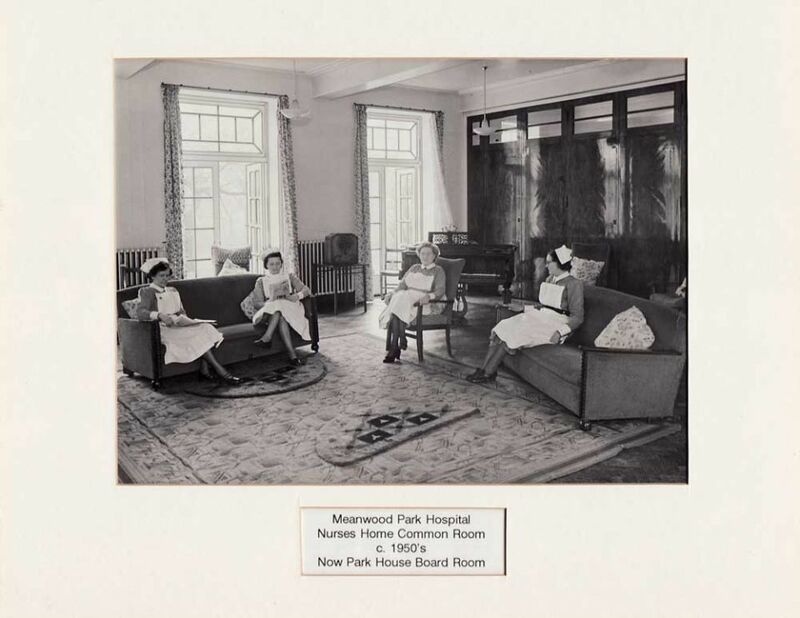 " Patients had to be careful how they behaved in their work and the villa or wherever they were cos there was strict staff in those days and any offence, they used to be up before one of the senior doctors. In the case of first offences, they were warned of the serious nature of the offence and what would happen if that or anything like it was repeated. Then they were placed infront of the doctor and they lost all the priviledges for a certain length of time. 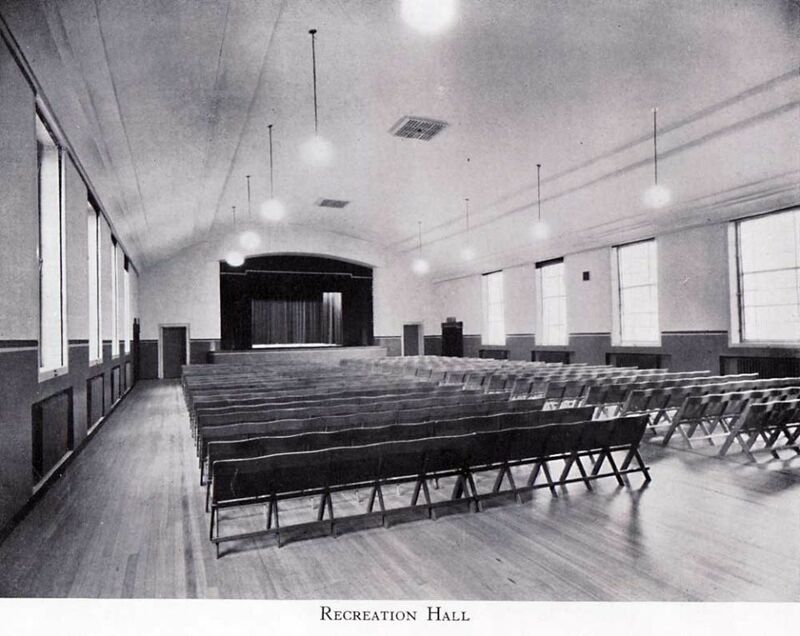 As far as priviledges were concerned used to be going to films and concerts and in hospital grounds, recreation hall and money included." 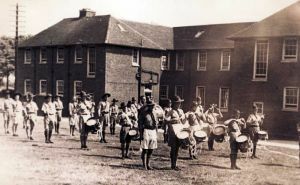 More severe punishments (both official and unofficial) such as cold baths, scrubbing, carrying bags of sand, and beatings existed for those who more openly rebelled against the system. 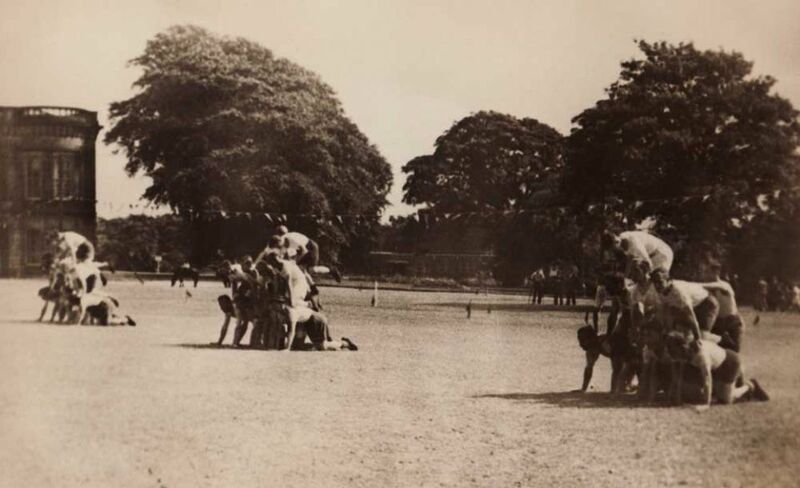 All the villas had special side rooms for punishment and there were punishment villas in the men, women and children's section of the colony.
" 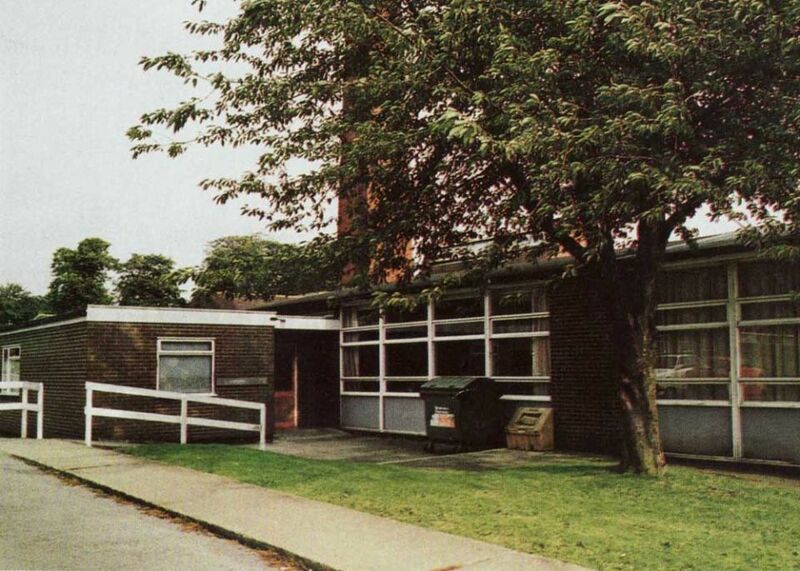 If you got caught doing summat to a girl they used to lock you up in a sideroom. They used to run away some of them and they had to bring 'em back and put 'em in a sideroom. 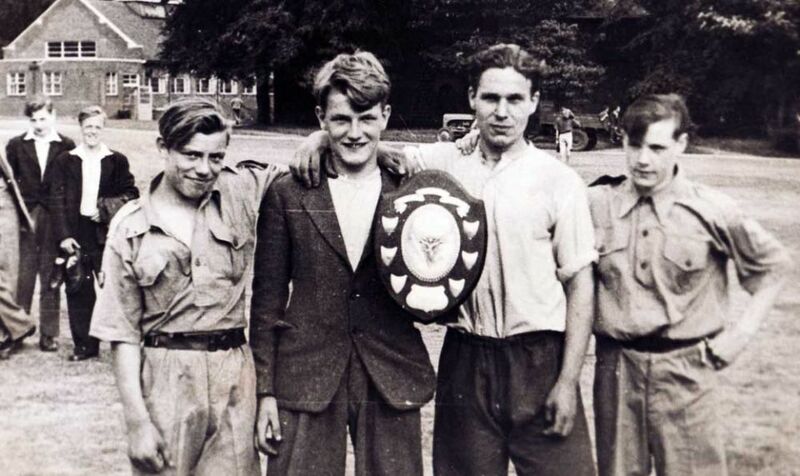 And scrubbing - used to have shorts on. Same wi' girls. They used to do same on the female side. 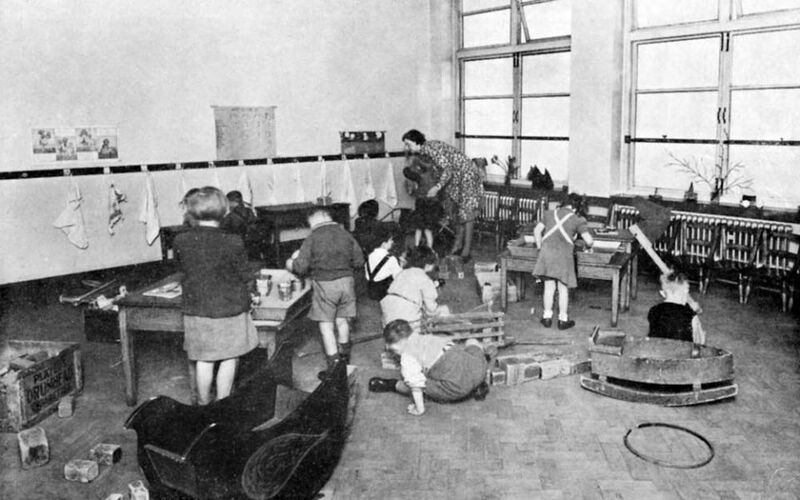 We used to go round and see girls just in their knickers scrubbing floors. Villa 8 used to be their locking up villa. Locked up in side rooms without no clothes on"
" You know if you did something wrong we had to be in us nighties all day and be punished. Couldn't go out anywhere, couldn't have your visitors to see you. If you were bursting to go somewhere and you wet yourself, you know like with me, you got punished, Say you were in a wheelchair and you couldn't talk to tell them, you still got punished!" 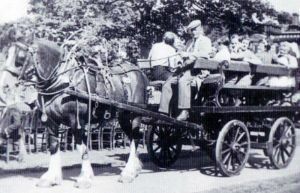 Church Parade each month. Day trips to seaside resorts were arranged. Patients went to a holiday camp. All patients were certified. Mental testing was done by the Superintendent and his Deputy. 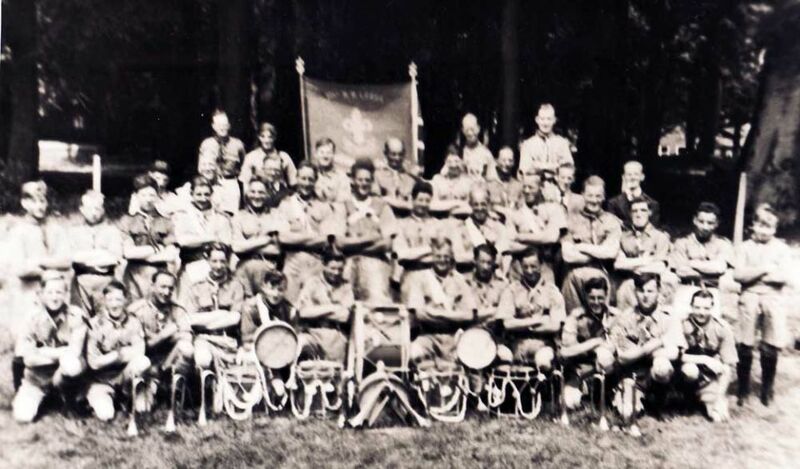 The Board of Control paid an annual visit. 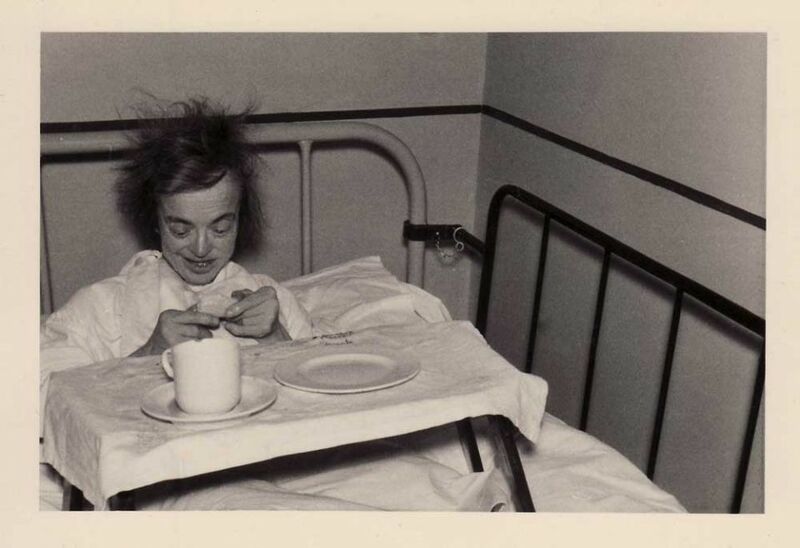 The hospital always received a satisfactory report. 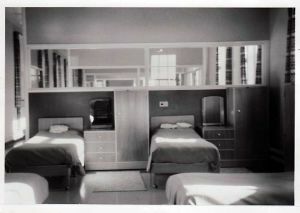 Most villas accommodated 50 or more patients. Three meals were provided each day, food for these being collected from the kitchen. "I didn't like it (food) and we used to grumble and groan. But if we didn't eat it for us tea, they'd save it for your supper. You had to eat it and eat it and eat it till it were gone! 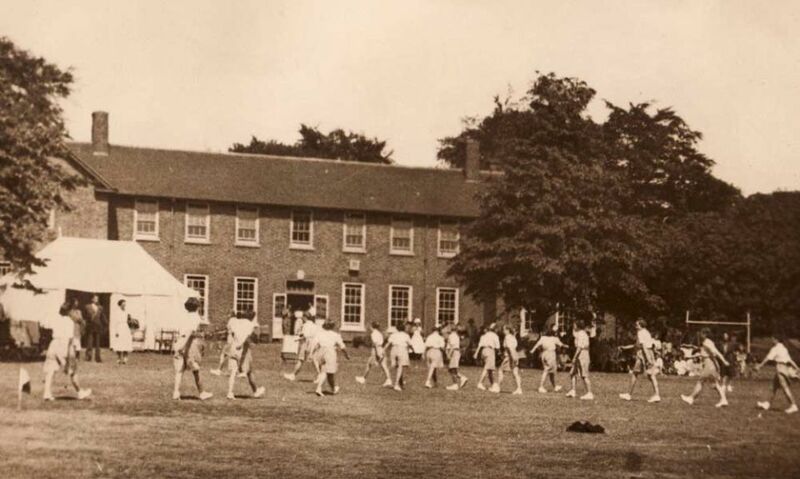 We daren't leave anything, them days. We daren't even say to staff, " I don't want this. " You daren't be rude!" hair. Epileptic patients had weekly enemas; many wore protective headgear. A weekly dose of white medicine was given on Sunday evenings. Paraldehyde draught was used as a sedative.